World War II was fought from September 1, 1939 to September 2, 1945 with the United States entering the war on December 7, 1941 after the bombing of Pearl Harbor. The average age of a World War II veteran today is 92 years of age. The World War II Memorial in Washington DC was completed in 2004, nearly 60 years after the war ended. Honor Flight is a program designed to take World War II, Korean and Vietnam veterans to visit the memorials in Washington DC at no cost to the veteran as a small thank you for their service to our country. The veteran is accompanied by a guardian, usually a family member, to help the veteran. Our veterans were accompanied by sons, daughters, grandsons, and other family members. We had the opportunity to go to Washington DC with the Utah Honor Flight. Our job on this trip was to document the veterans journey through photos and videos. We came away from the trip with numerous photos and videos but mostly we came away with a greater appreciation for the veterans who fought for our freedoms. We were gone for a total of 3 1/2 days. We met in St. George Utah for a send off celebration. We were all given official honor flight t-shirts and hats to be worn every day for 3 days. It was ok, everyone was doing it. One smelly shirt meant 50 smelly shirts. Families said goodbye to the veteran and his/her guardian and we boarded a bus to Las Vegas. We spent the night in a Las Vegas hotel so that we could make it to the airport early enough for that 9 am flight. 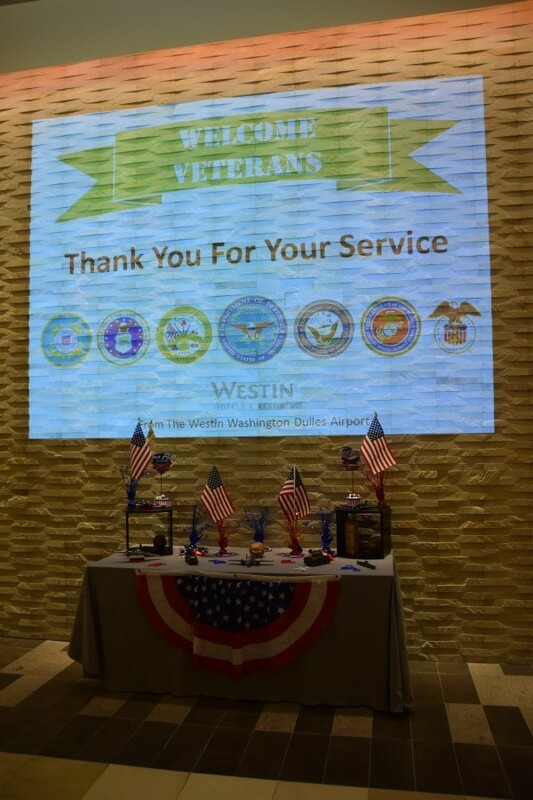 The next morning we arrived at the Las Vegas airport and paraded through the terminals with 22 World War II and Korean War veterans amid cheers from other travelers. These weary travelers knew they were in the presence of heroes, men who had fought for the freedoms we enjoy today. The USO provided a continental breakfast at the boarding gate. We were all excited to start this incredible journey. As we boarded the plane, veterans were saluted by TSA officers dressed in neat uniforms as onlookers waved American flags. Once everyone was settled in and our plane was in the air, the fun didn’t stop. It was time for second breakfast because apparently we are hobbits. All of the veterans, guardians and staff were served second breakfast by the newest flight attendant, LaRea. A little dream come true for me. I handed out those little breakfast sandwiches like a pro. After second breakfast the veterans had mail call. Each veteran received a HUGE envelope of letters and cards from their families, friends and school children just wanting to say thank you for your service. As veterans read their letters, we all watched as the smiles and tears spread across their faces. It was fun to see toddler drawings of parachutes and American flags, family photos and heartfelt words of children, grandchildren and great-grandchildren. This flight was unlike any other flight I had ever been on. The aisles were filled with people reading letters and hearing stories. Even the flight attendants listened in on the storytelling. The crew on our Southwest flight was amazing. They treated our veterans like family. Once mail call was over it was time for lunch. Box lunches with sandwiches, potato chips and cookies were passed out along with the standard airline beverage. The rest of our journey was filled with more stories. Stories about the war. Stories about life since the war. Stories about families. When we arrived in Baltimore as the veterans were pushed in wheelchairs through the airplane tunnel again each veteran was greeted with cheering and clapping. For me, it was very emotional. These men had lived a lifetime since they were in World War II and now they are receiving the hero’s welcome they so richly deserved. Passers by would stop and shake each veterans hand and say, “thank you for your service.” It was very touching to say the least. We then loaded the bus and drove to our hotel where we were greeted by a very friendly staff at the Westin Dulles Hotel. Our veterans were then treated to a delicious chicken pot pie meal. It was so yummy! After our long day of traveling we were all tired. It was time to call it a night because tomorrow we had to be up early to begin our tour of the war memorials in Washington DC. Coming up… World War II Memorial.